The Strategic Air Forces, presently known as Russian Long Range Aviation Forces, were founded on May 5, 1942. During the Second World War in April 1944 the Strategic Air Force was reorganized and demoted to the 18 Air Army (18 VA –Vozdushnaya Armiya). However, on April 9, 1946 the decision was reversed and the Strategic Air Forces regained their previous position within the Air Force. In the following years, it became clear that due to the heavy toll paid during the Second World War, the Long Range Aviation or Dahl’nyaya Aviahtsiya (DA) was considerably undersized and found itself still relying on the remaining bombers from the war. Types like the B-25C acquired from the U.S. Lend-Lease Act of March 11, 1941, plus home built types like the Yermolaev Yer-2, Petlyakov Pe-8 and Ilyushin Il-4. With the end of the war, Russia’s former ally, the United States of America, rapidly transformed into a potential adversary. 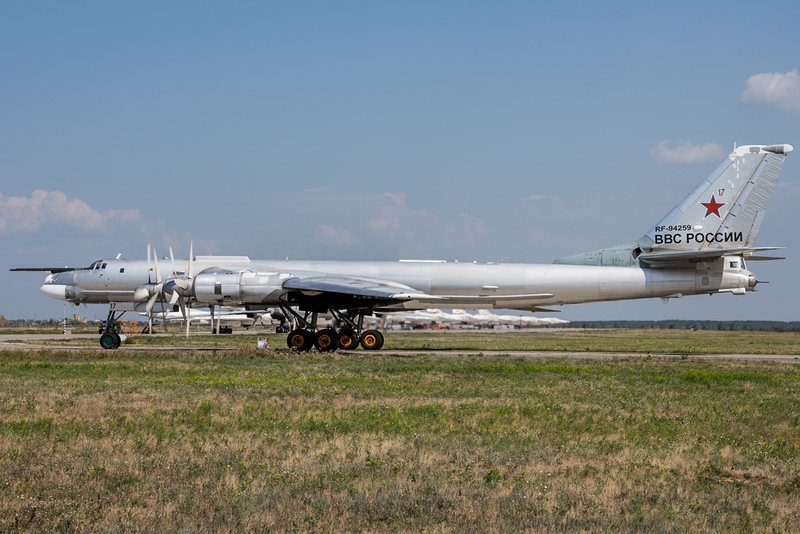 Since there was no Russian design available to counter the strategic threat from the U.S., the decision was made by the Soviet High Command to reproduce the Boeing B-29 Superfortress. The United States of America had refused to deliver the bomber to Russia during the war, but the Soviets were able to use four B-29’s which had been captured after making forced landings in the Soviet far East in late 1944. 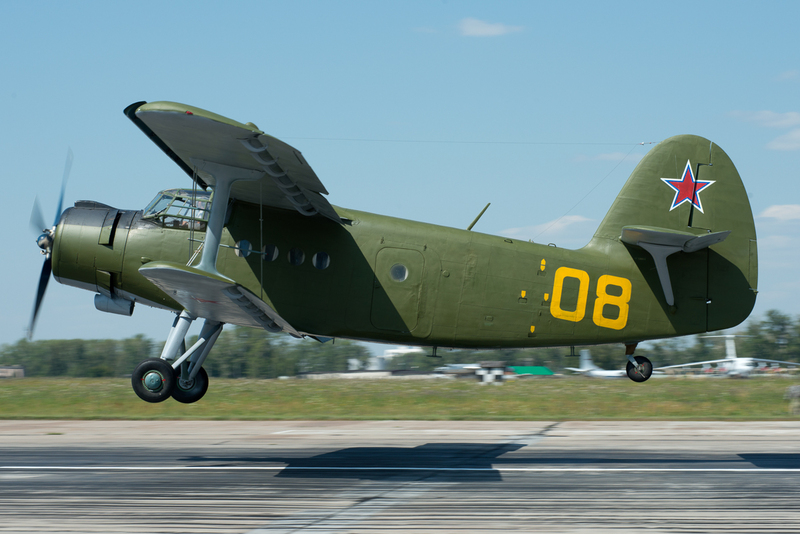 The bombers were relocated to Moscow and passed to the aircraft experimental development center OKB-156 (Opytno Konstrooktorskoye Byuro). Chief designer Andrey N. Tupolev was in charge of the program and the reverse-engineered reproductions of the B-29 were renamed the Tupolev Tu-4. 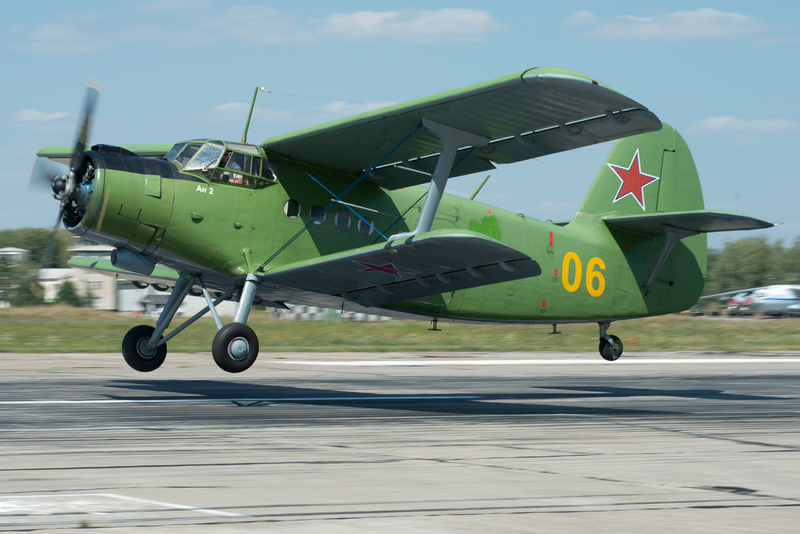 The first Tu-4 was completed at Kazan and made it’s first flight on May 19, 1947, after which, serial production took place in three separate factories: Kazan, Moscow and Kuibyshev, up until 1952. 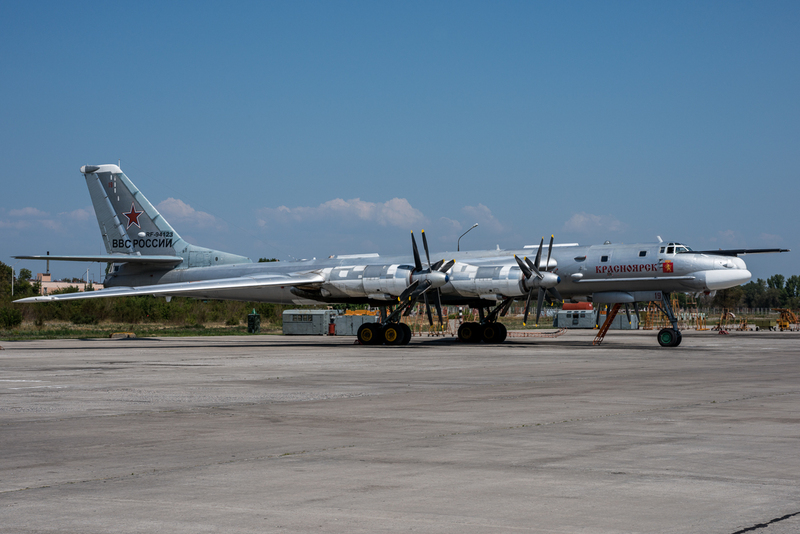 The Tu-4, which became fully-operational in 1947, signified the rebirth of the Strategic Air Force. The mass introduction of the Tu-4 commenced in 1951 and was integrated in the operational inventory of 20 heavy bomber regiments. The Tu-4A, specially designed for delivery of nuclear weapons, completed it’s test period in 1951. In November 1949, Lt. Gen. Yevgeniy M. Nikolayenko was appointed Commander of Long Range Aviation and, in August 1950, was succeeded by Air Marshal Sergey L. Rudenko. The reestablished Long Range Aviation consisted of three Air Armies. 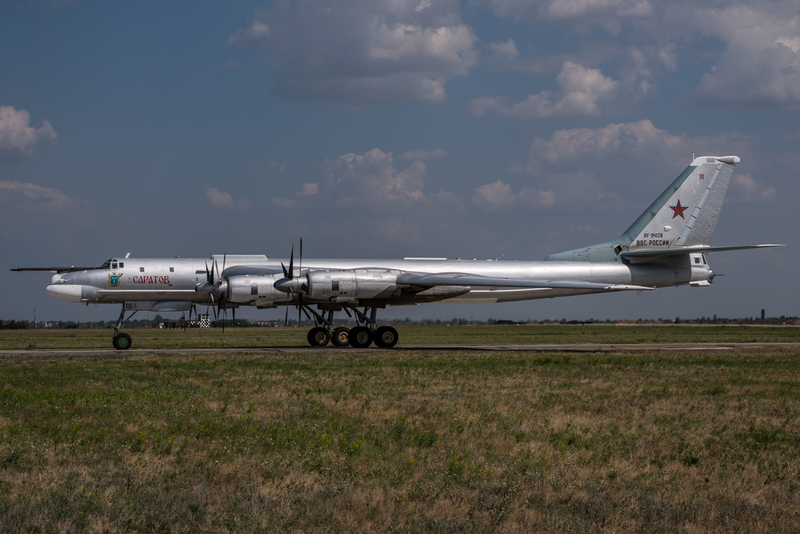 During 1950-1951 each Tu-4 crew logged 80-100 hours per year, which increased to 120-140 hours between 1952 and 1954. The DA was also developing it’s capabilities, this resulted in a wingtip to wingtip air to air refueling system developed by the Flight Research institute LII (Lyotno Issledovatel’ skiy Institoot), which helped to extend the bomber forces range. Besides the research in capabilities and the innovations in strategic warfare, new types of aircraft were also developed resulting in the Myasischev M-4 Bison, Tupolev Tu-16 and Tupolev Tu-95. The Tu-16 was the first of the bombers to enter operational service between 1954 and 1955 and was soon followed by the M-4 and the Tu-95. 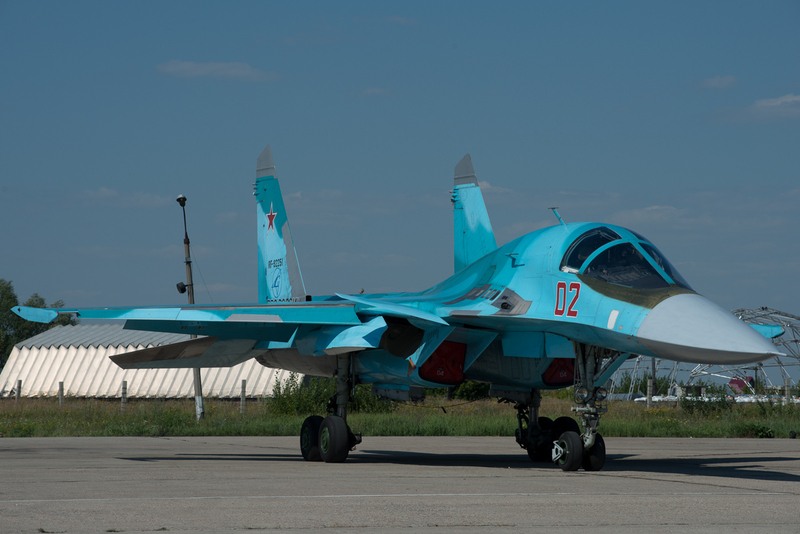 Initially, three new regiments were formed and located at Engels Air Base. These regiments were the 79 TBAP, 1096 TBAP and the 1230TBAP. 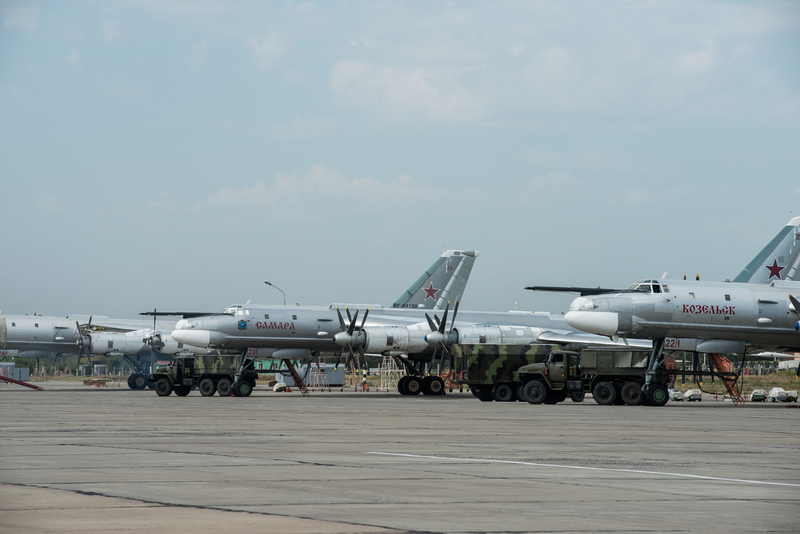 All were equipped with the Myasischev 3M and M4 bombers and were merged into the 201 TBAD. 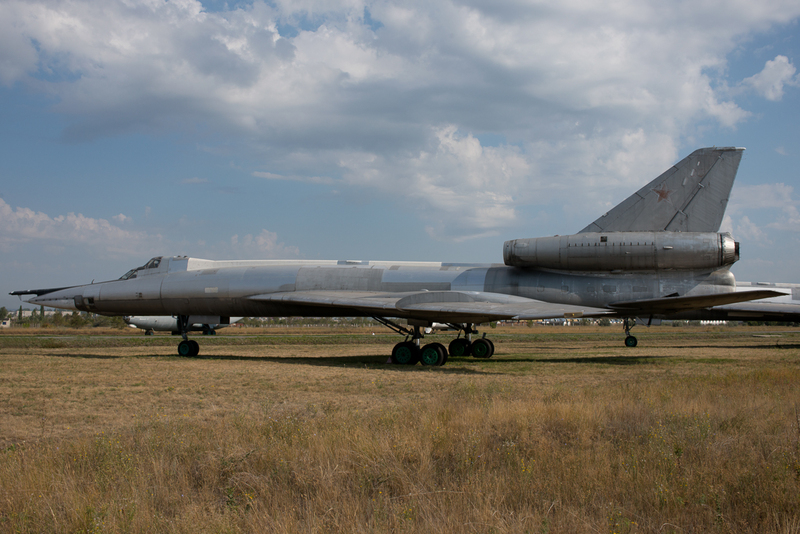 Later, additional Myasischev 3M bombers were added to the regiment and detachments of these bombers participated in the nuclear tests at Nova Zembla. 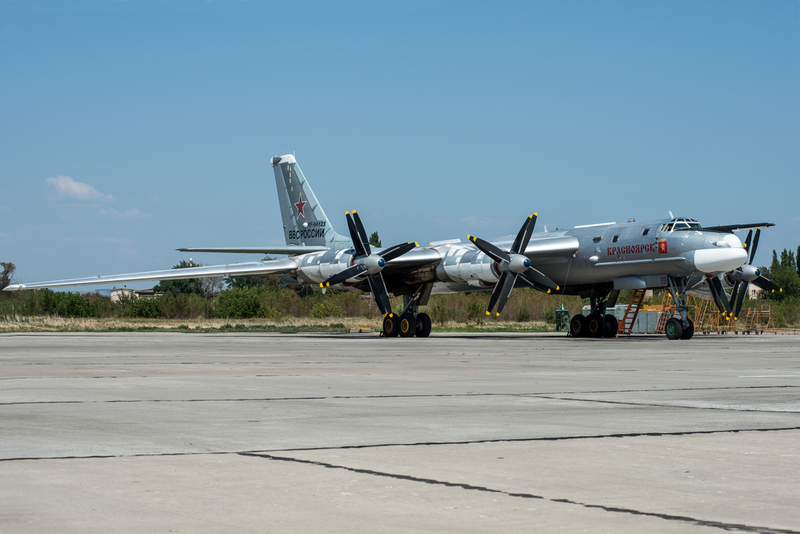 By the late 1960’s, most of the Myasischev 3M’s in the DA were replaced by the Tu-95 in the bomber role, however, the M-3M’s that were modified to the tanker variant remained in active service until well into the 1990’s. During the decade between 1950 and 1960, an enormous effort was made to develop the Soviet strategic capabilities even further. 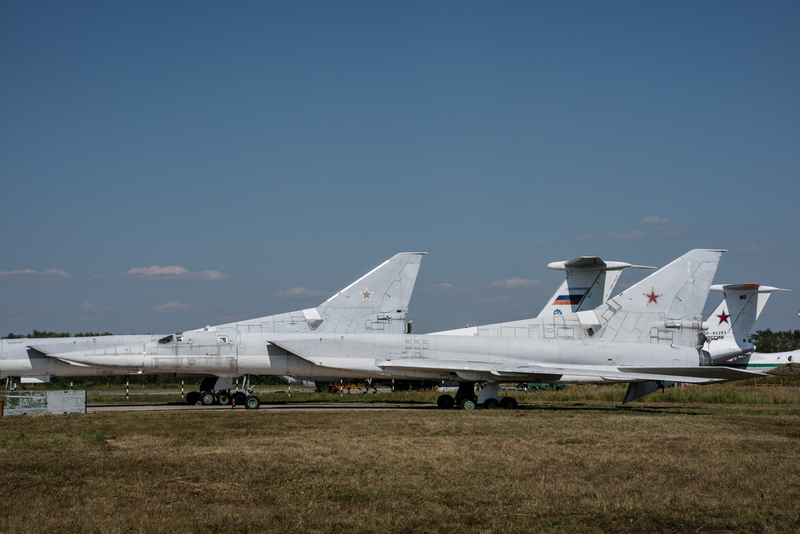 Besides the development of missiles, new aircraft were also being developed because the Tu-16 was coming close to the end of it’s operational service time. This new aircraft had to be a multi-role designed, capable of performing the primary task of a bomber, plus the additional roles of reconnaissance, missile carrier and ECM platform. The first new design was the Tupolev Tu-22. 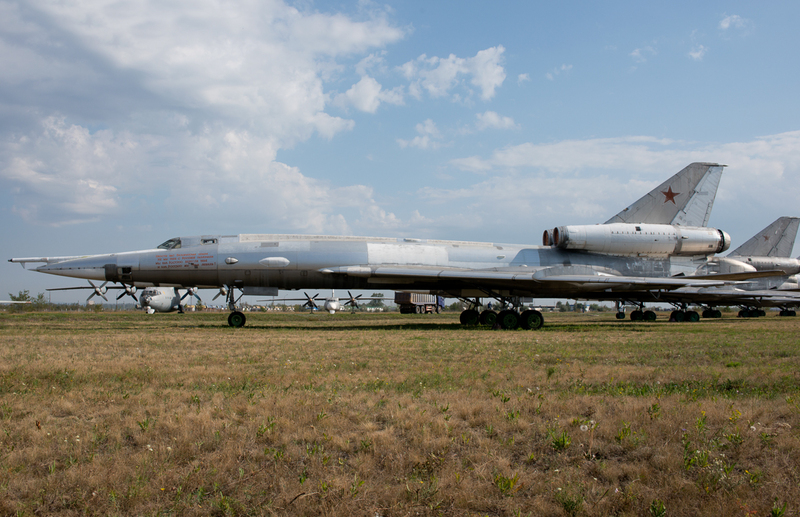 Initial flight tests began in 1958 with the Tu-22 being deployed to the operational units during 1960 after serial production commenced at aircraft factory nr 22 in Kazan, this ran until 1969. The first operational flight on the Tu-22 was performed in 1961 when the aircraft received it’s qualifications to actually be deployed. The Tu-22’s service introduction proved to be difficult and in 1965 lead to the entire fleet being grounded. 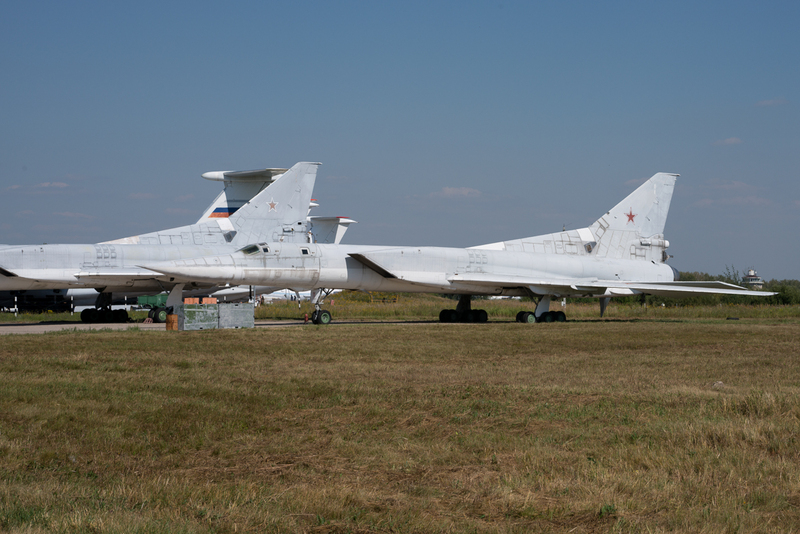 The first unit to receive the Tu-22 was 203 TBAP at Baranovichi, Belarus. Most of the operational regiments were equipped or converted to the Tu-22 by 1969. 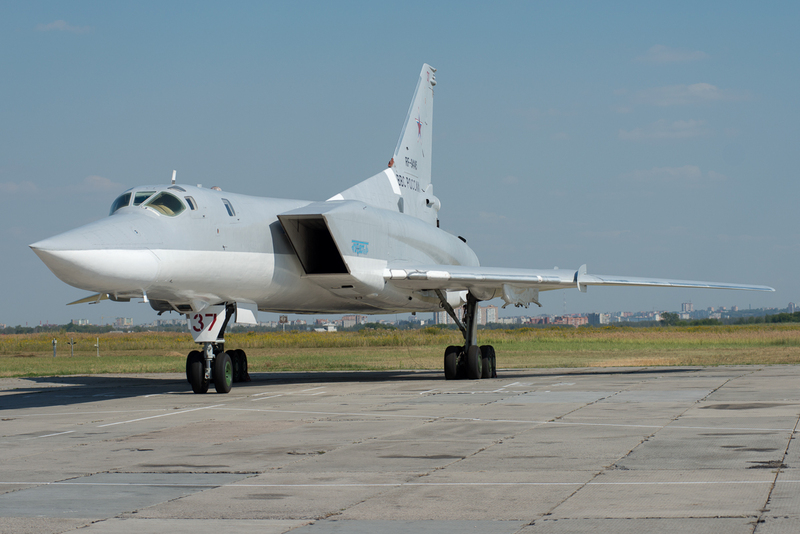 The initial Tu-22 design was further developed and in 1985 the Tu-22M3R was introduced. 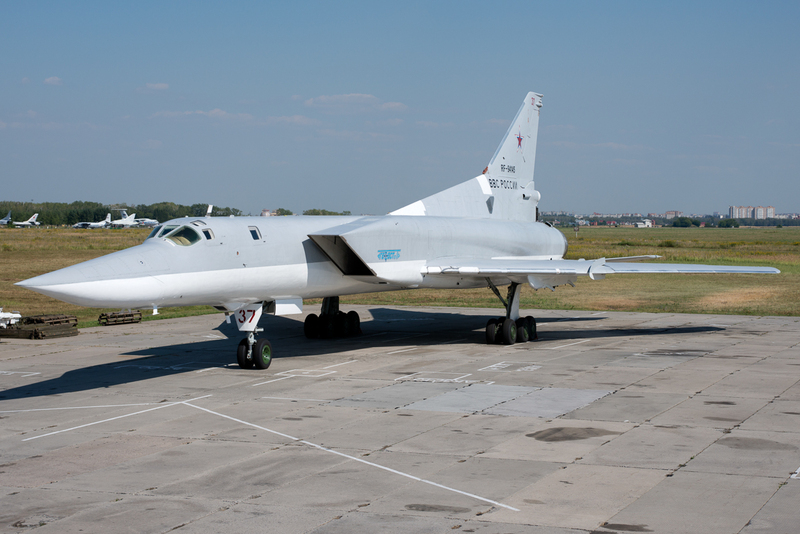 The prototype had flown on 6 December 1984 and was designed to replace the Tu-22R, Tu-22RD, and Tu-22RDM aircraft. 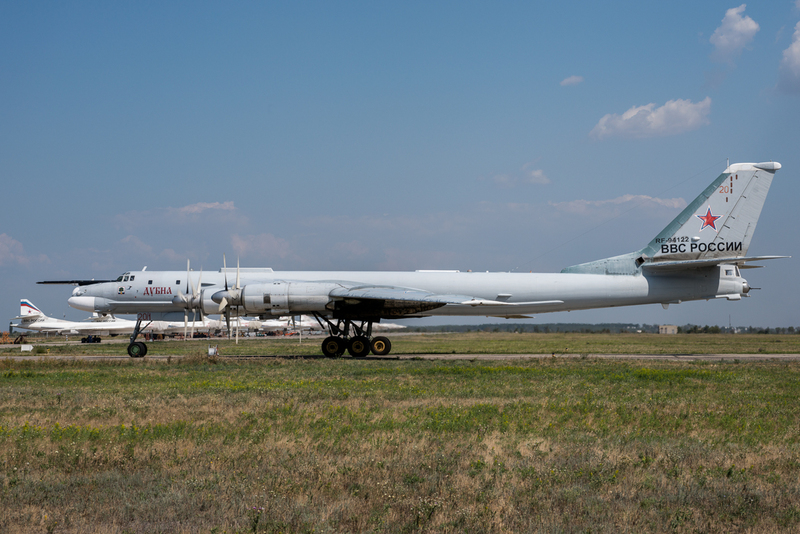 Only a few Tu-22MR’s were actually delivered to the Air Force given the introduction of the latest Soviet Bomber the Tupolev Tu-160, which was developed at Kazan in 1984 and entered production 3 years later in 1987. 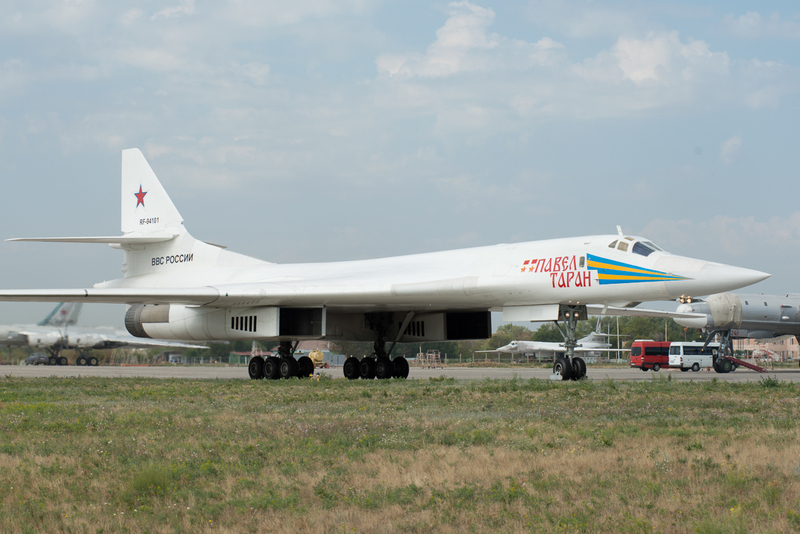 The first aircraft were delivered on 17 April 1987 to the 184 Guards TBAP based at Priluky Air Base, but due to the collapse of the Soviet Union and the subsequent lack of funding, only a limited number of Tu-160s were ever built. 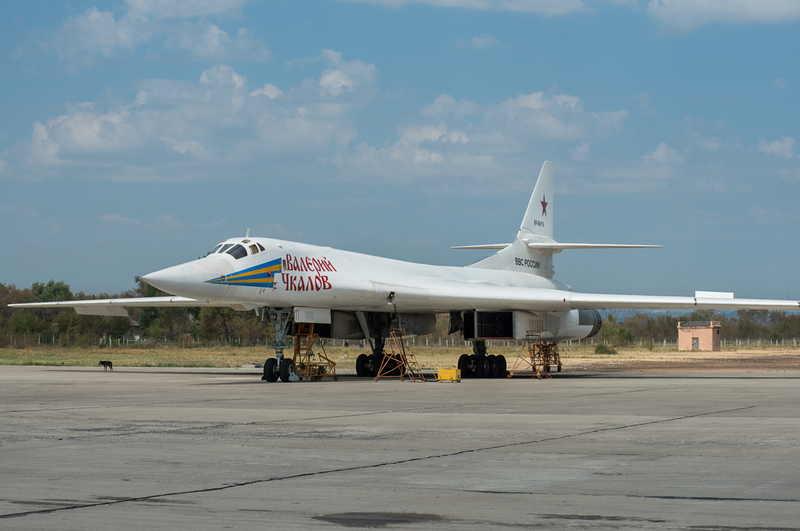 All the Tu-160’s were initially based outside of Russia, but with nations previously integrated into the Soviet Union starting to declare their independence they were relocated back to Russia and to Engels Air Base. Engels Air Force Base, also referred to as Engels-2, is a strategic air base currently under the DA command and is located just east of Saratov. 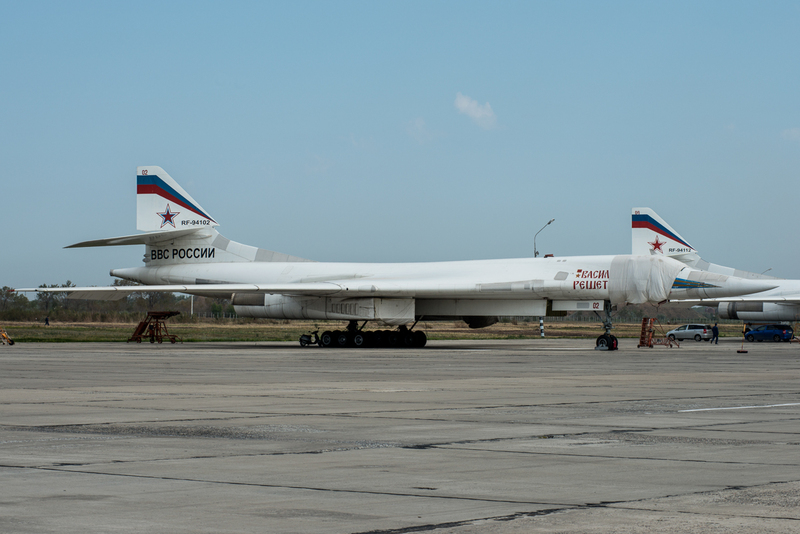 Engels is a major bomber operations base, and is Russia’s only operator of the Tupolev Tu-160 strategic bombers. The base contains a 3,500 meters (11,500 ft) runway and about 10 large revetments. It is named after the Communist philosopher, Friedrich Engels. Engels Air Force Base was constructed in 1930, approximately 1.5 km from the village of Engels in the Saratov region. 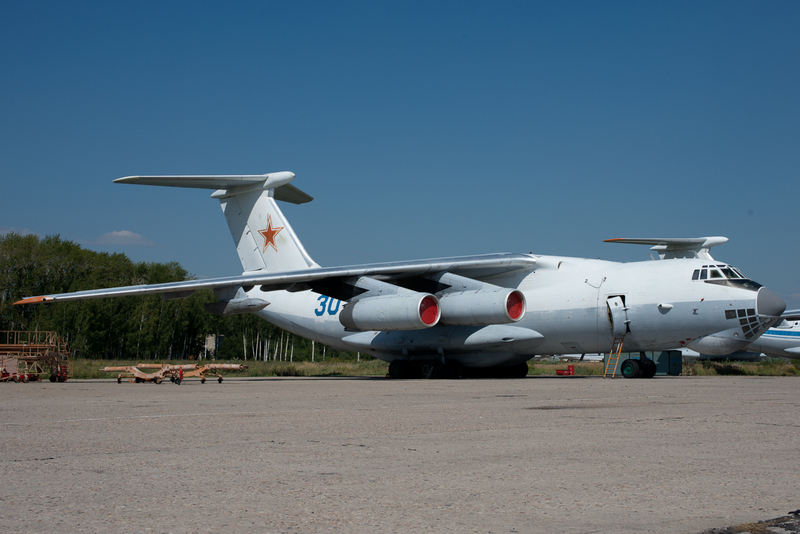 The newly constructed air base was to be the training school for future Russian Air Force pilots. After construction was completed, the first aircraft to take off from there was the Polikarpov U-2 on the 16 February 1932. By 1936, Engels established the name of being the best military aviation flight training school in the country. Besides the Polikarpov U-2, the Polikarpov P-5 was also appointed to the school in order to provide flight training. Before the break out of the Second World War the school had already trained a few thousand airmen for operational deployment within the Air Force. Some of these airmen participated in the Spanish War and the Soviet-Finnish War leading up to the Second World War. For their achievements in these wars, seven airmen were awarded the title Hero of the Soviet Union. 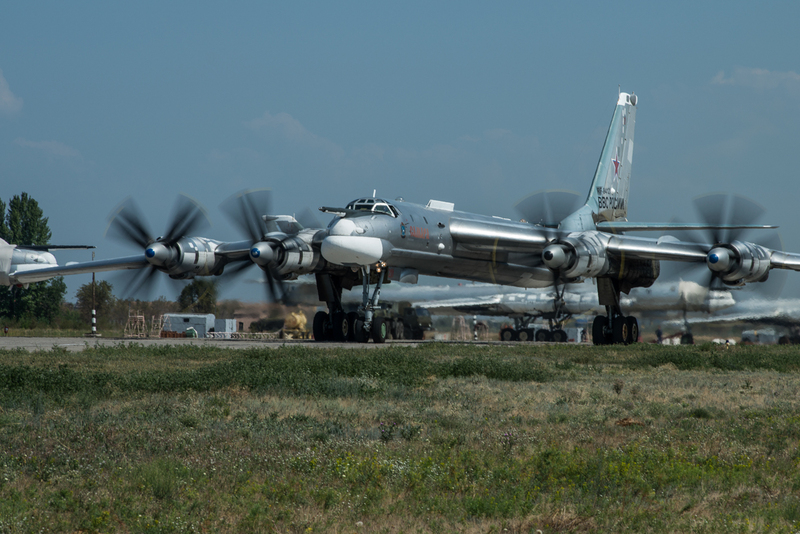 The Tupolev Tu-95, designated by NATO as the “Bear”, is a large four-engine turboprop aircraft used for strategic bombing. 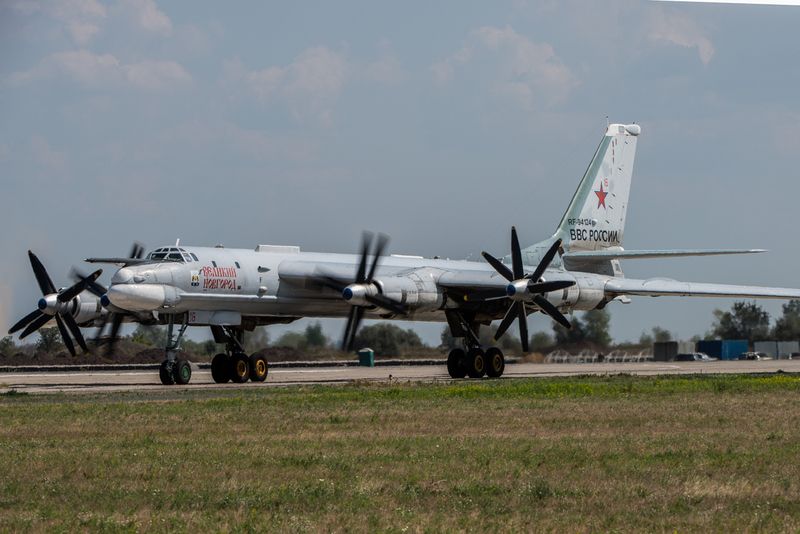 The Tu-95 entered service in 1956 and continues to be utilized by the Russian Air Force. The Tu-95 is one of the noisiest aircraft ever flown. This is due to the contra-rotating propellers that have tips that rotate faster than the speed of sound. 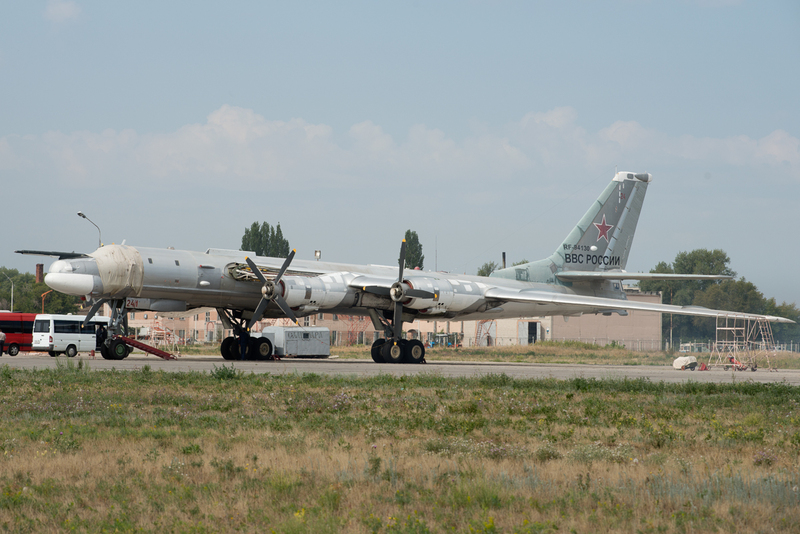 With a range of 15,000 km (9,400 mi) without being refueled, the Tu-95 can travel long distances to deliver a payload. 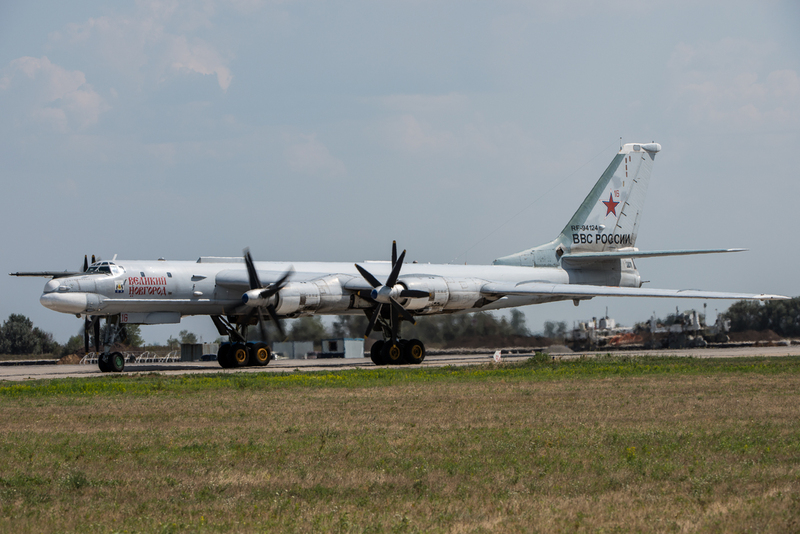 Slated to be in use by the Russian Air Force until 2040, the Tu-95 has been one of the most successful Soviet-era aircraft ever built. 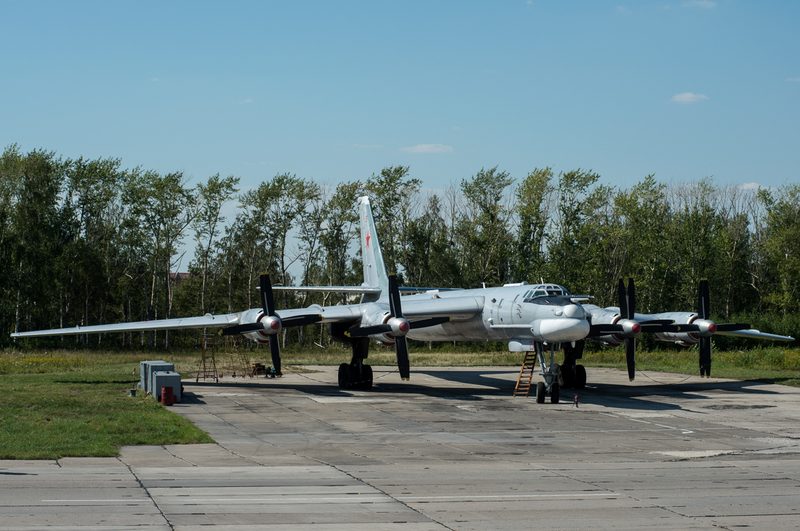 Today, American and European forces are very familiar with the Tu-95. 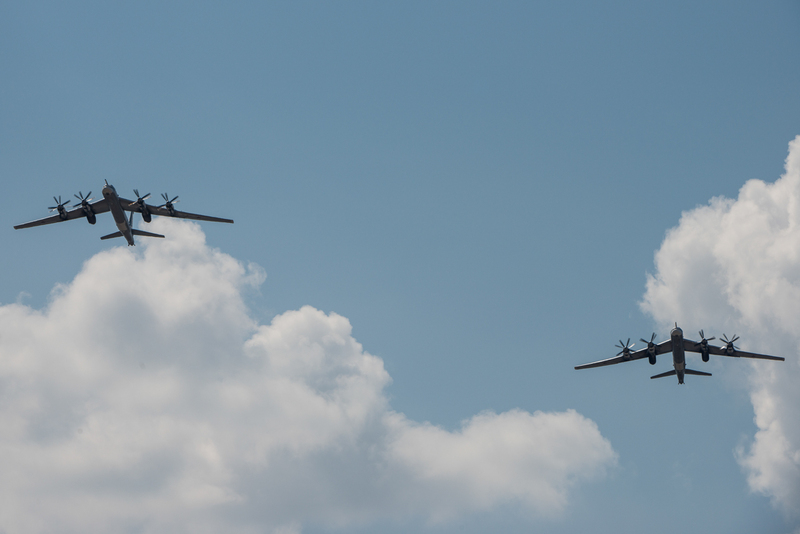 In the past year, there have been multiple intercepts of Russian Tu-95’s in international airspace. 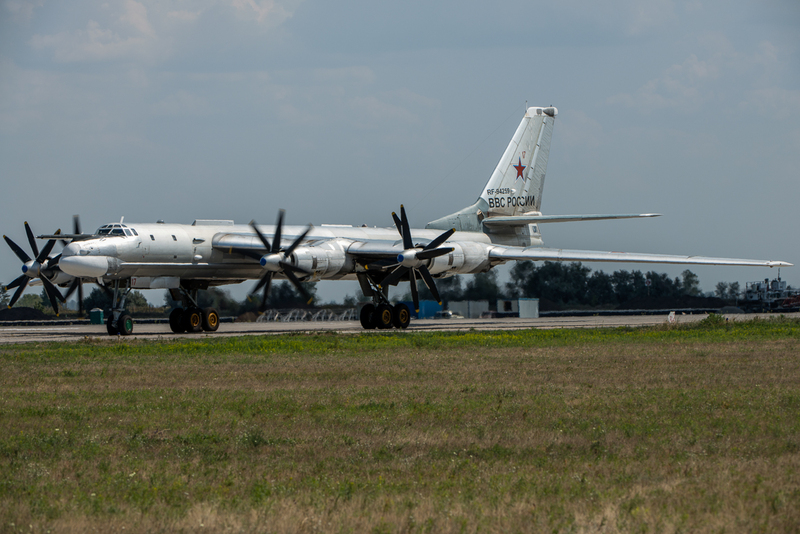 In recent news, on July 14, 2015, two Russian pilots were killed when a Tu-95 crashed near Russia’s border with China. Engels Air Force base played no major part in the Second World War and was equipped with Po-2 and Pe-2 aircraft during that time. Many of the trained pilots, however, were deployed to frontline aviation regiments which led to 190 former pupils of the school being awarded the title Hero of the Soviet Union. After the war, up until 1951, Engels Air Force base continued to be a flight training base equipped with piston engine aircraft. In 1951, they received the first Ilyushin Il-28’s. Prior to the arrival of the Il-28’s, construction commenced on the airfield realizing a 3 kilometer concrete runway. Once construction was complete, and the Il-28 successfully moved to Engels, the flight training school was moved to the city of Tambov. On December 15, 1954, the 201 Heavy Bombardment Aviation Regiment (TBAD) was formed, then equipped on February 28, 1955 with the Myasischev M-4 Bison. 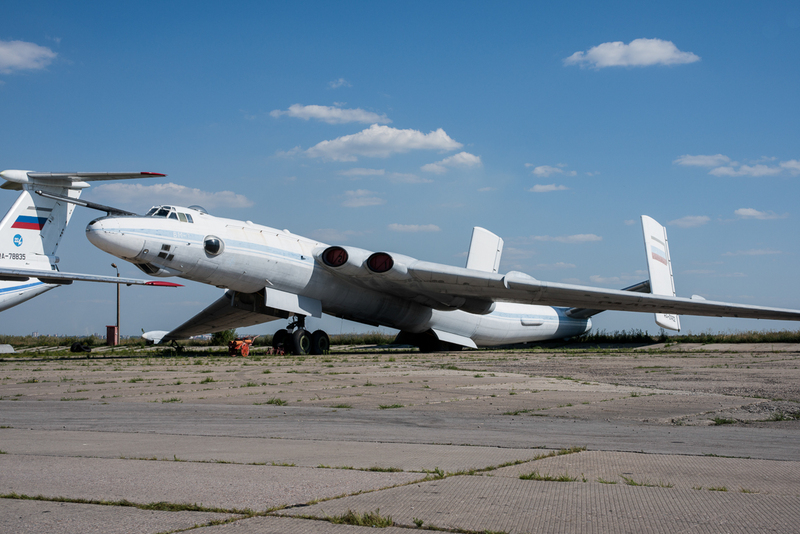 In 1955, Engels Air Force Base was one of only six Soviet bases capable of handling the oversized Myasishchev M-4 bomber. In May 1957, Myasischev M-3’s were added to the inventory. Initially, the 201 TBAD was appointed only three regiments. These were the 79 TBAP, 1096 TBAP and the 1230 TBAP. In 1957, however, the 79 TBAP was transferred to Ukrainka Air Force Base, which also included the 73 TBAP regiment. Gradually the M-4’s and M3’s were converted into air to air refuelers and, in the early 1970’s, this resulted in the re-designation of the 1230 Heavy Bombing Aviation Regiment to the Aviation Regiment Aircraft Refueling Regiment (APSZ). The M-3M and M-4 version of the “Bisons” remained operational until 1985 and were eventually withdrawn from use and scrapped, in accordance with the Strategic Arms Reduction Treaty. 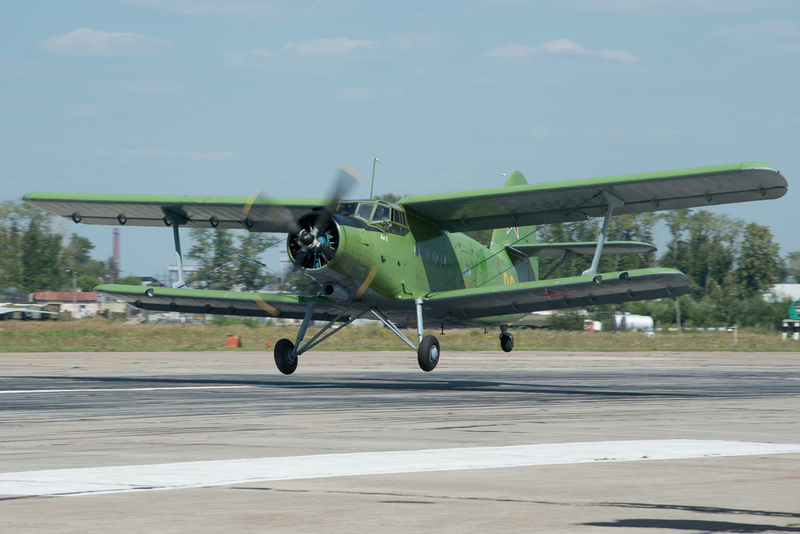 The aircraft modified to tankers M-3MS-2 (old engines) and M-3 MD-2 (new engines), remained active until the end of 1993. 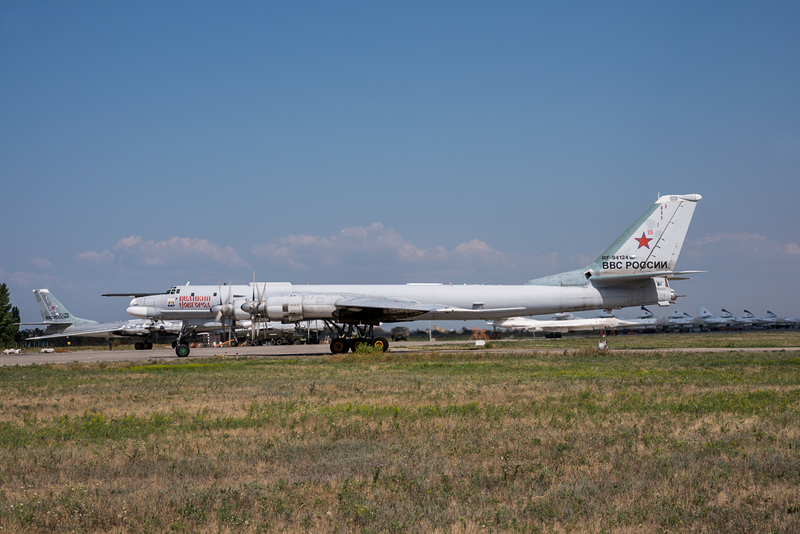 The Bisons at Engels Air Force Base were initially replaced by Tupolev Tu-16’s until these were replaced in the early 1990’s by the Tu-95MS and Tu-160. After the collapse of the Soviet Union, the 201 TBAD was renamed to the 22nd Guards Banner Donbass Heavy Bombardment Aviation Division and was integrated into the 37 Air Army. The 37 Air Army (or 37 VA – Vozdushnaya Armiya) was the strategic bomber force of the Russian Air Force from 1998 to 2009 when it was reorganized. 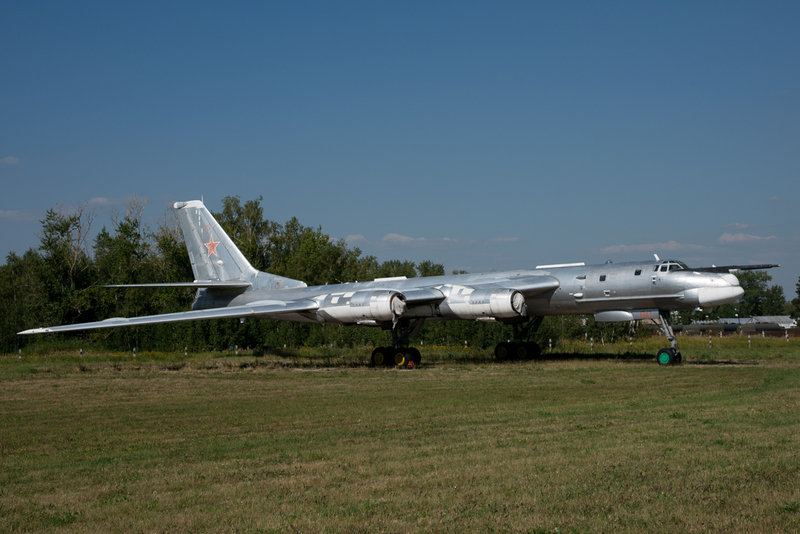 It was equipped with Tu-95MS and Tu-160, armed with nuclear cruise missiles, plus the intermediate range Tu-22M3. 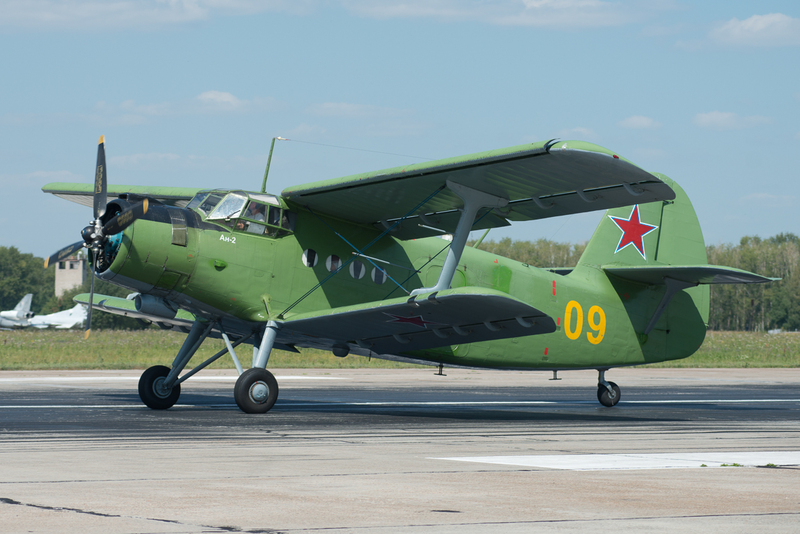 The 37 Air Army was the successor of the Soviet Air Forces Long Range Aviation, which used to have several Air Armies appointed to it’s inventory. The 37th Air Army was originally formed in 1949 by re-designating the 4 Air Army in Poland, which was part of the Northern Group of Forces where it was commissioned and served until 1968. It was reformed by a decree on March 13th 1980, along with the 24th Air Army, 30th Air Army, and 46th Air Army, which together replaced the Long Range Aviation headquarters, which was disbanded. It appears the decree may have been put into effect, and the headquarters actually reformed, on 1 August 1980. Engels Air Force Base was to have received the first production Tu-160’s in 1987, but these were appointed to Priluky Air Force base whose units had Tupolev Tu-22M experience. The Gorbunova aircraft factory was, at this time, in the process of construction of 13 new aircraft. 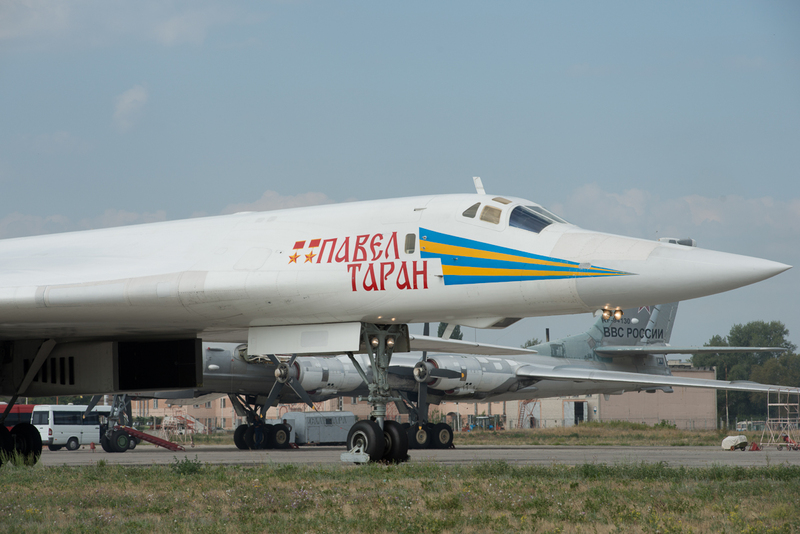 In March 1992, the first Tu-160 aircraft were received and were appointed to the 1096 TBAP. Another two were received in 1993 and the last one arrived early 1994, after which the deliveries stopped due to lack of funding. 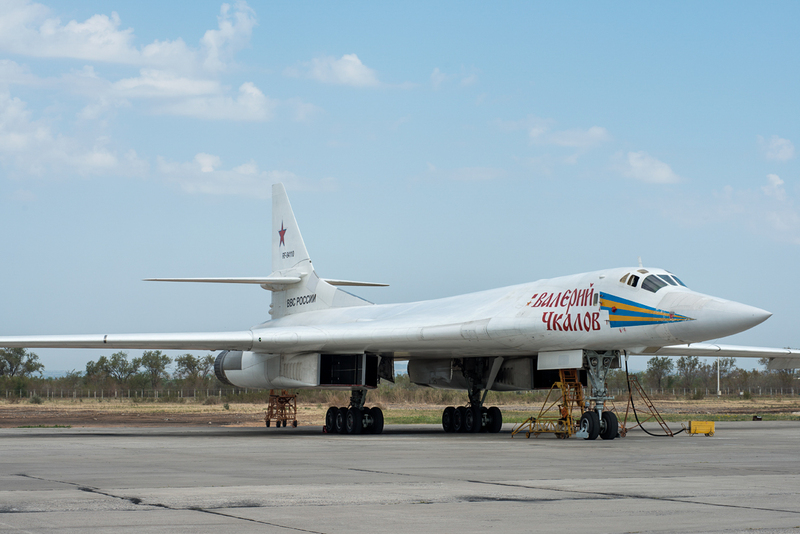 By 1994, Engels Air Force Base had five Tu-160 bombers in operation. 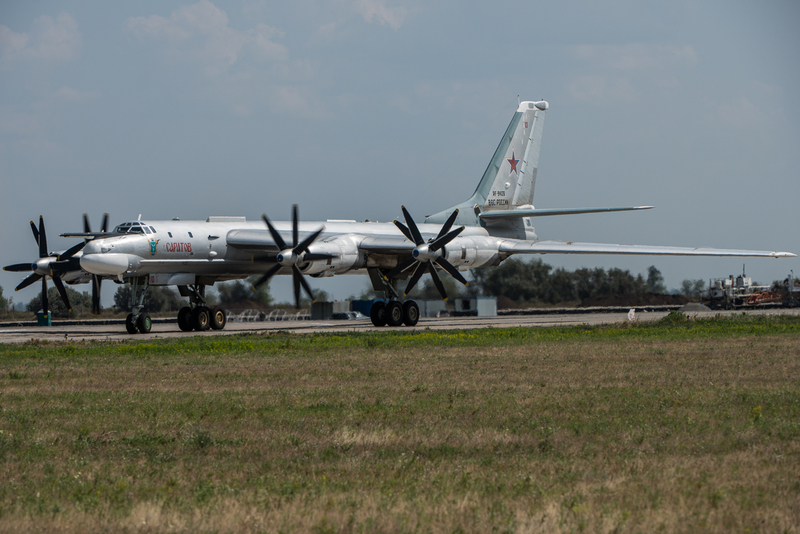 In 1998, the START-1 treaty had shown it had twenty operational Tupolev Tu-95 bombers and only six Tu-160 bombers, all with cruise missile capability. 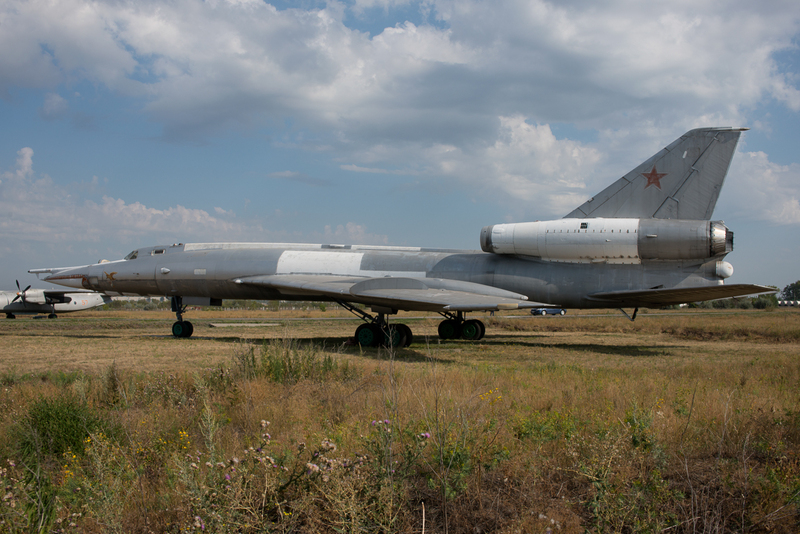 By early 2000, the base had received additional bombers from Ukraine as a payment for gas supplies. 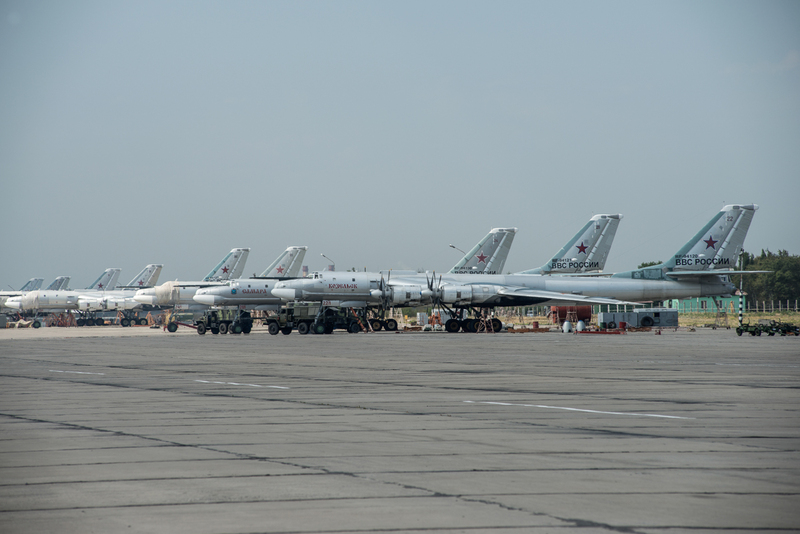 By 2007, the base had 14 Tu-160 bombers, 20 Tu-95 bombers and an unknown number of Tu-22M bombers. During the 1990’s, most branches of the Air Force were the victims of budget cuts. 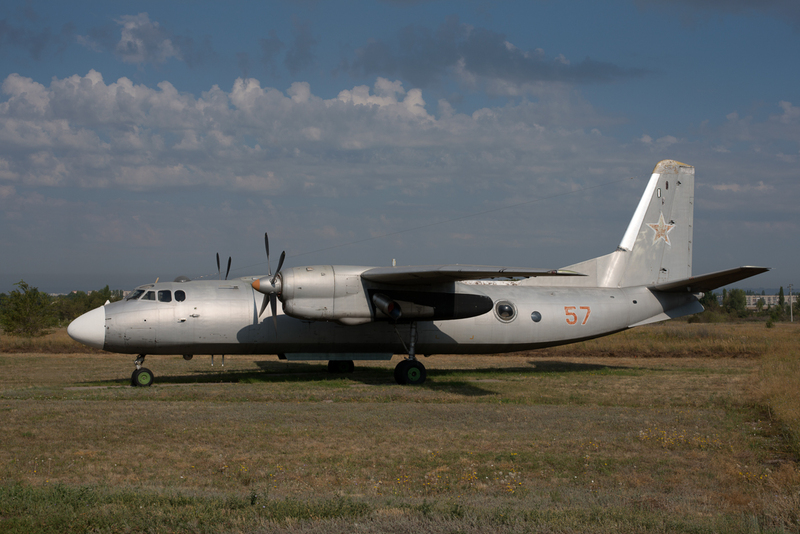 Strategic Aviation, however, was the only Russian Air Force component which was actually reinforced. 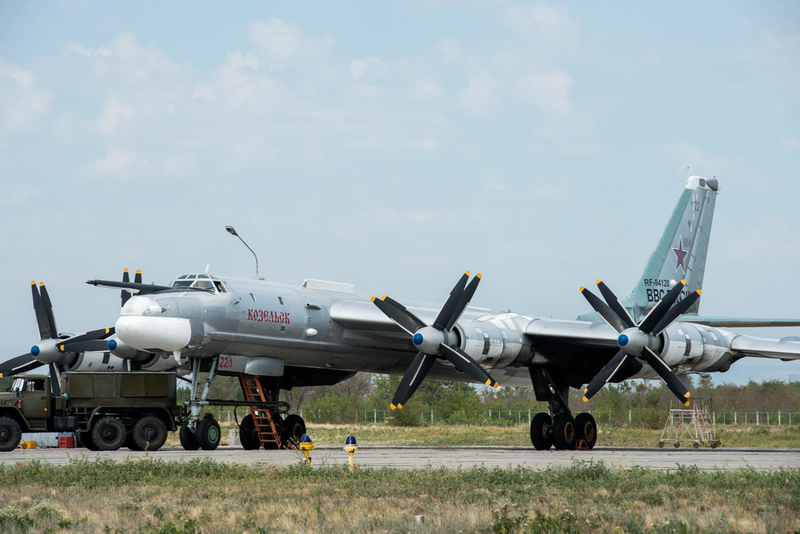 As a consequence of the dissolution of the Soviet Union in the early 1990’s, only 22 Tu-95MS bombers remained active within Russian territory, since most of these aircraft were stationed at Kazakhstan and Ukraine. 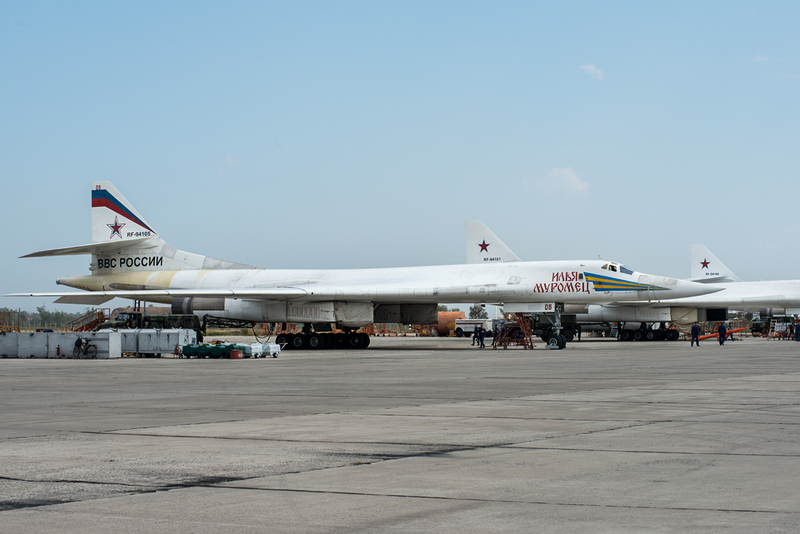 Also, at that time, the only Tu-160’s were in test units or with the manufacturers. 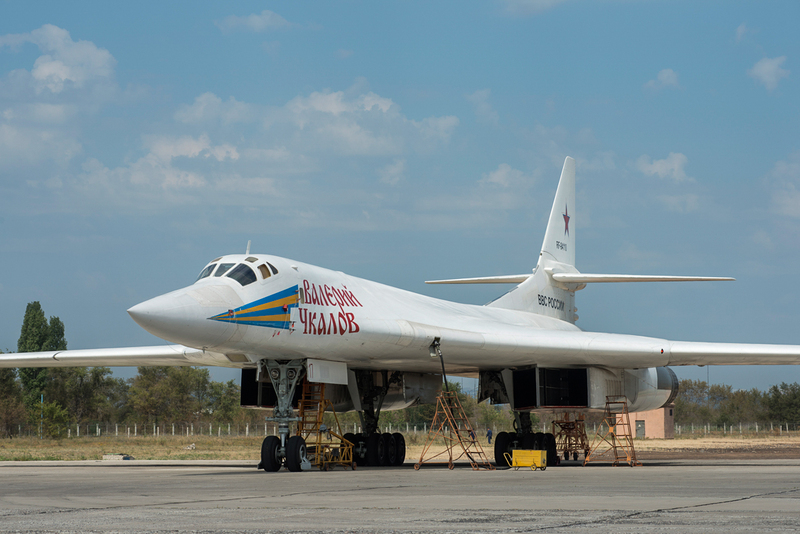 However, the production of new Tu-160’s continued, and between 1992 and 1995, the Engels regiment received 6 Tu-160’s before the production rate drastically slowed due to funding problems. 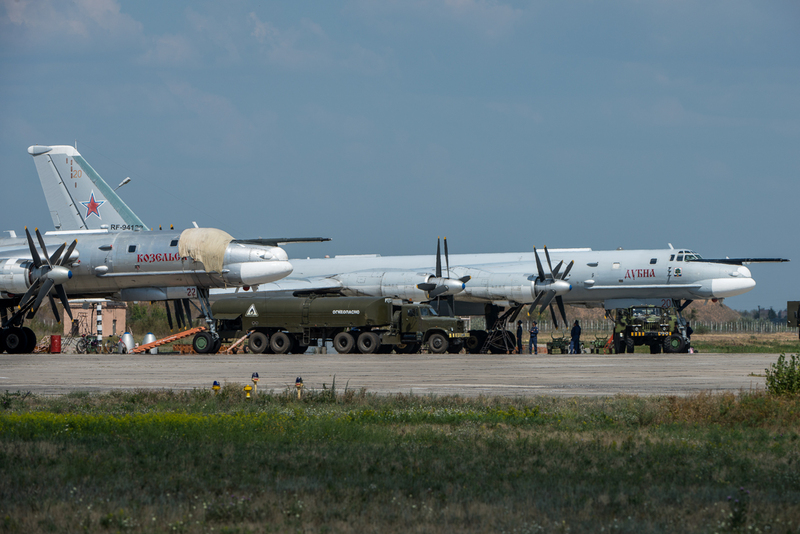 Additional aircraft comprising 43 Tu-95MSs and 8 Tu-160s were returned (or exchanged) from Kazakhstan and Ukraine. 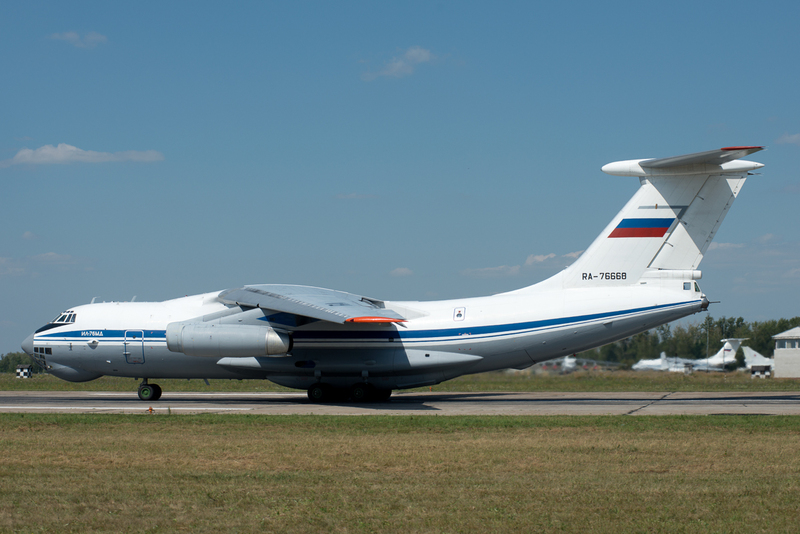 In 1994, the 203 Aviation Regiment of the Guards Orlovskiy transferred to Engels from Baranovichi, Belarus, which transferred again to Ryazan – Diaghilev Air Base in 2000. Also in 1994, the Air Division at Engels was renamed the 37 Strategic Air Army. In 1995, the 1096 Guards TBAP regiment to which all the Tu-160’s were appointed was disbanded and the 121 Guards TBAP received all the Tu-160’s. The 121 Guards TBAP regiment was equipped with the Myasischev M-3MD’s until that date. 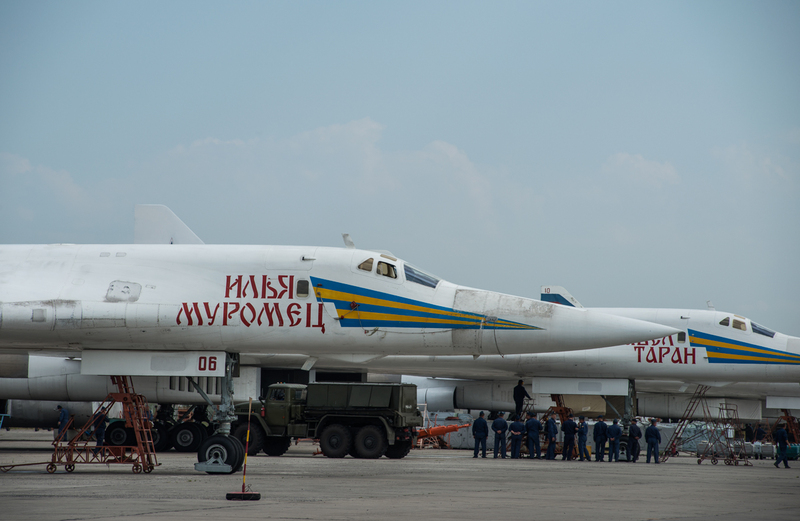 The Tu-160’s operated alongside the 1096 Guards TBAP regiment, which operated the Myasischev M-3MS-2’s air refueling tankers. On September 1, 2000, the 22 Guards Banner Donbass Heavy Bombardment Aviation Division was appointed the 184 Guards TBAP Regiment after being withdrawn from the Ukraine. 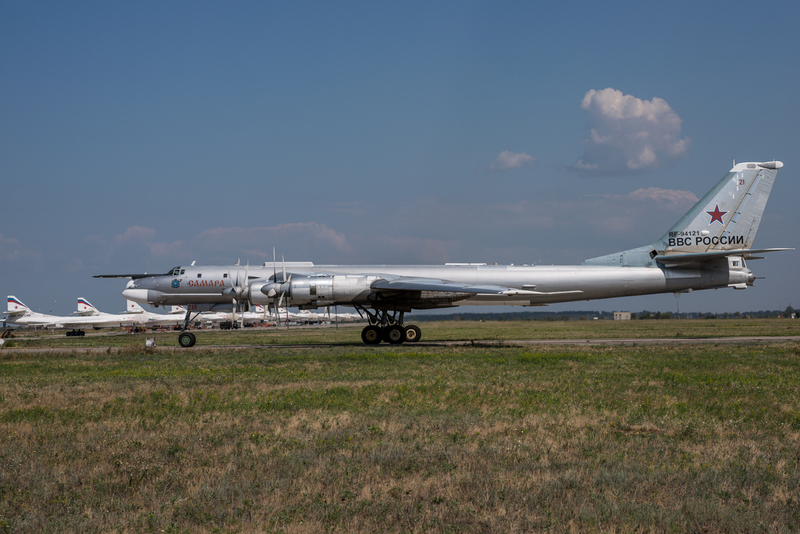 Also in 2000, another Tu-160 was delivered making the total Tu-160 fleet at Engels 14 aircraft. 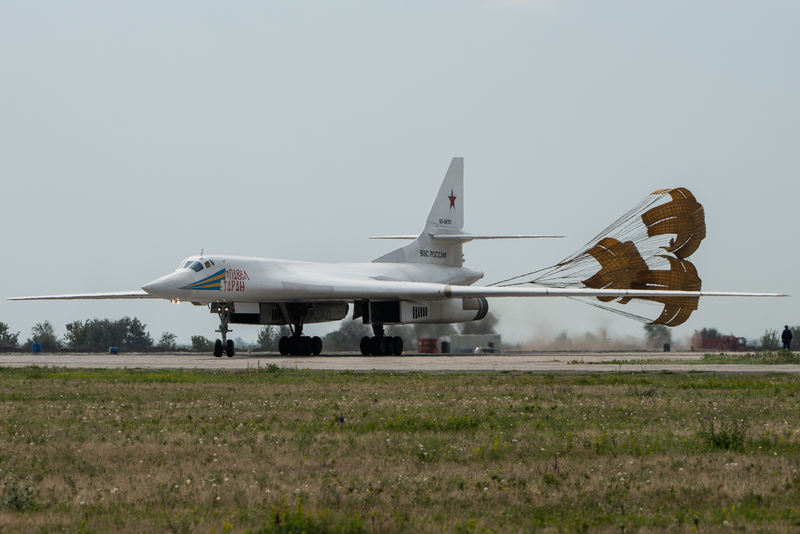 In 2007, the final pair of new Tu-160’s were received and delivered to Engels Air Force base. 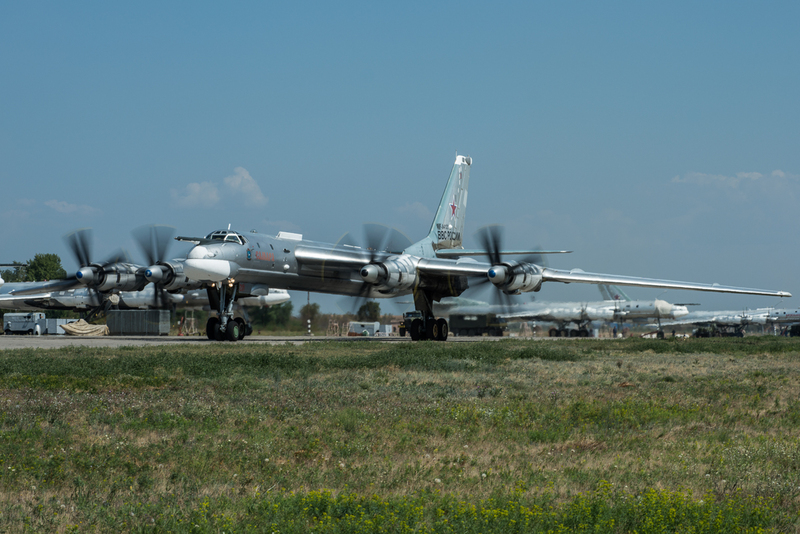 The Russian Air Force currently has 64 Tu-95MS and 16 Tu-160 bombers, these are being upgraded by changing the navigation and fire-control suites and installing new weapons, including non-nuclear cruise missiles, Kh-55 and stand-off guided munitions. 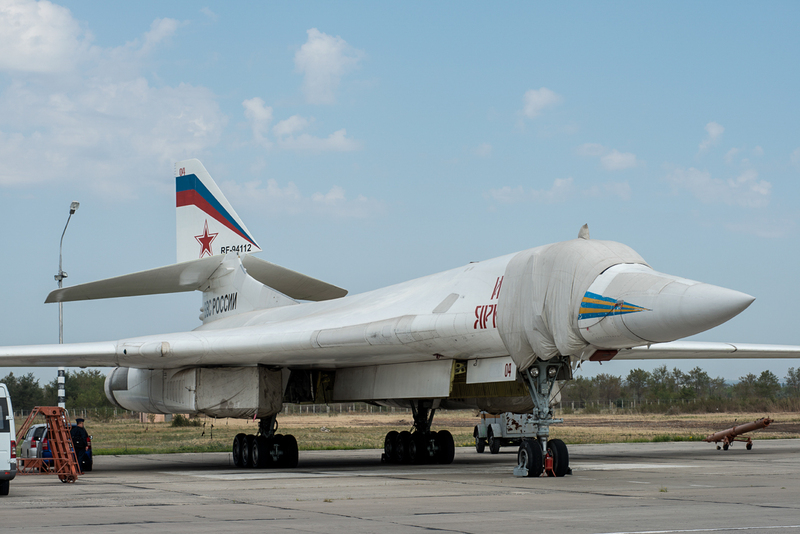 From 2007 onwards, Engels was the sole Tu-160 base. 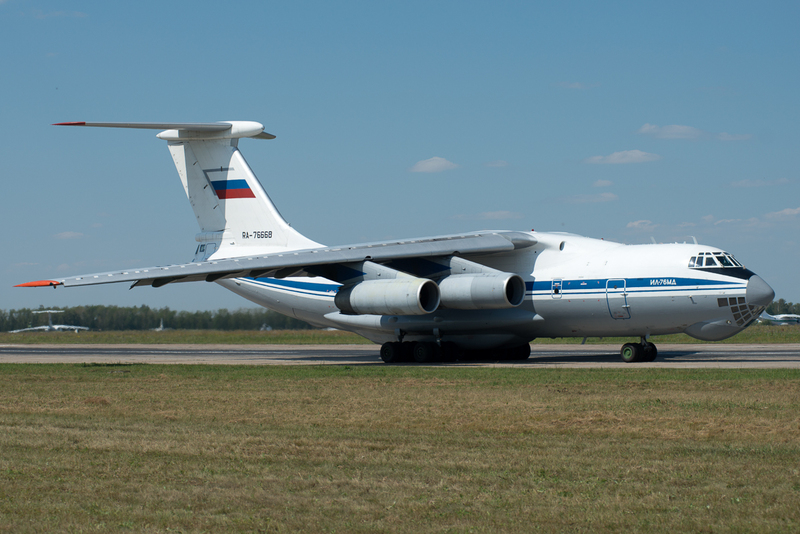 They currently operate alongside the Tu-95Ms, of which 20 are operational at Engels. Since August 17, 2007, the base is on constant alert patrolling the north and northwestern areas of the Atlantic Ocean, the coast of Canada, Alaska Aleutian Islands, as well as other strategic areas. On August 27, 2007, the commander of the 37th Air Army communicated that the conventional long range sorties do not carry the nuclear weapons on board. The 22nd Guards Heavy Bomber Aviation Division of the 37 Air Army controlled operations at the base up until the Air Force reorganization between 2009 and 2010. In 2009, the 37 Air Army was disbanded as part of a large scale reorganization of the Air Force and has been reformed into the Long Range Aviation Command. The main change that took place was that the Air Armies became Air Base units (Aviatsionnaya Baza) at each operational airfield. 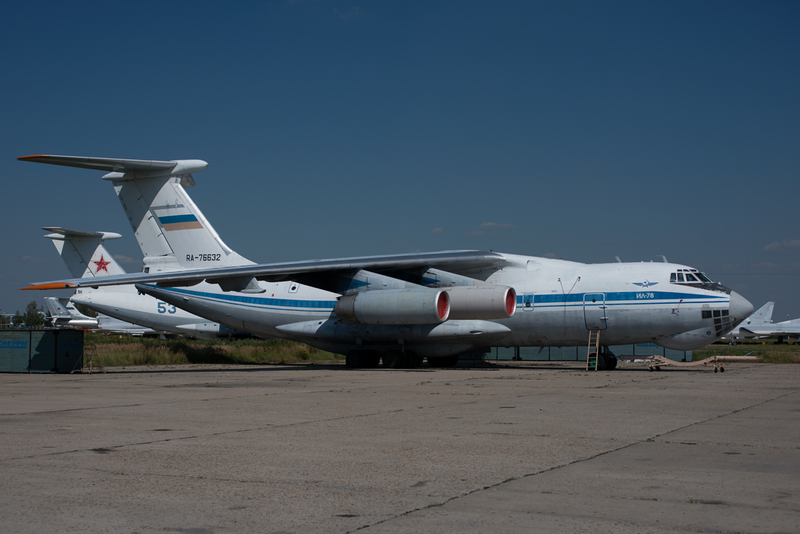 Soon after, most of the Air base units were disbanded and transferred into Air Groups (Aviatsionnaya Groupa). All Aviation Groups were subordinated to the main Air Base unit and others were given new Air Base numbers. Engels Air Force Base was renamed to the 6950 Air Base and was appointed to the Central Military District. It didn’t take long before further reorganizations lead to the overall structure of four new Air and Air Defense Commands, which used to be the former Air Bases, being aligned to the reorganized military districts which were formed between September and December of 2011. Engels Air Force Base was now subordinated to 6950 AvB in the Command DA. The restructuring had severe consequences for the former Naval Air Forces, since most of the fixed-wing aircraft were transferred to the air force and integrated into the new command structure. A few of these aircraft also found their way into the DA command. 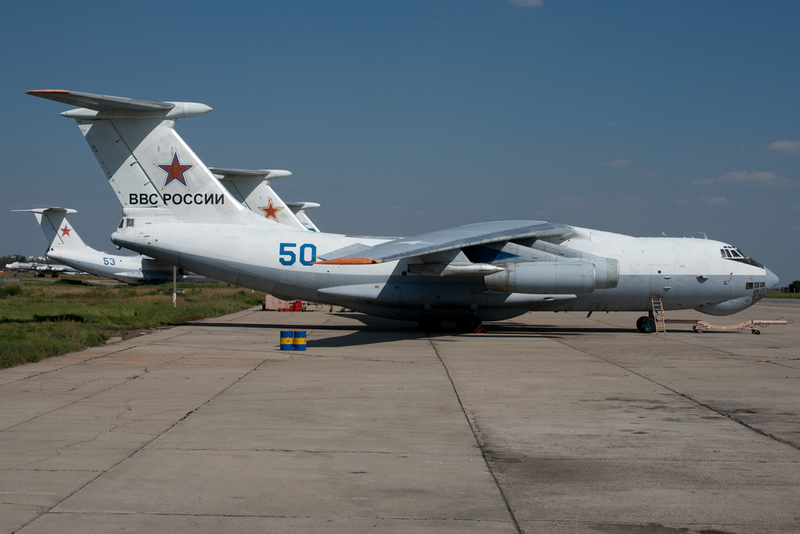 Introduced during 2009, was a serial number system for all Russian Air Force aircraft which previously had only used tactical codes (Bort numbers) for external identification. 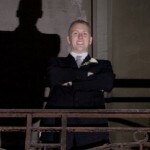 The tactical code system had been in place since the end of the Second World War. The new serial number is made up with the designation RF- followed by 5 digits. 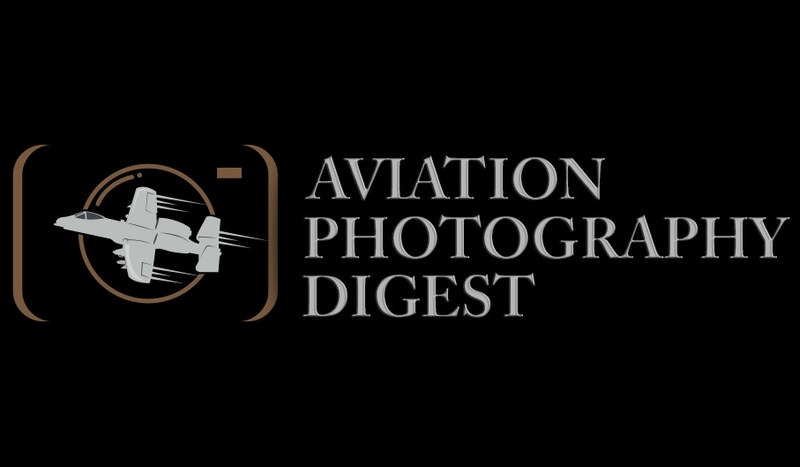 Integration of this serial number system is still not complete, but an increasing number of aircraft have been noted carrying the new serials. During a visit in 2012, the base commander communicated that the base was visited by President Putin last spring and he announced that Engels Air Force base was to be reconstructed and would receive a second runway. By August 2012, work on the second runway would be well under way and all construction should be completed no later than 2016. Engels has it’s own museum on base premises and carries a large variety of aircraft once operated there. 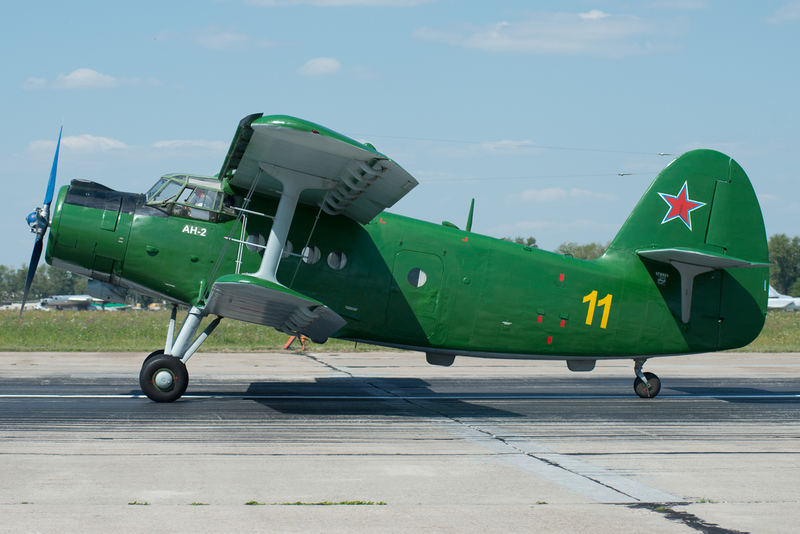 Among the numerous preserved airframes is the An-2 in which Yuri Gagarin had used in order to acquire his parachute qualifications. 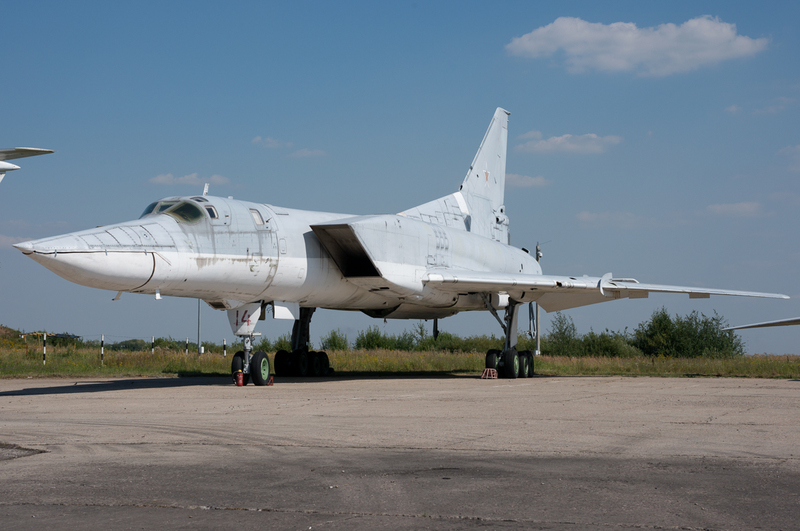 The Museum is also unique in having all versions of the Tu-22 on display including the rare trainer variant. Other exhibits include a Tu-95, an M-4, along with several transport aircraft and a number of jet trainers. All the aircraft are in a very good condition and preserved in their original state. Unfortunately, because the museum is on base, it is not open to the public and requires advance permission to gain access.